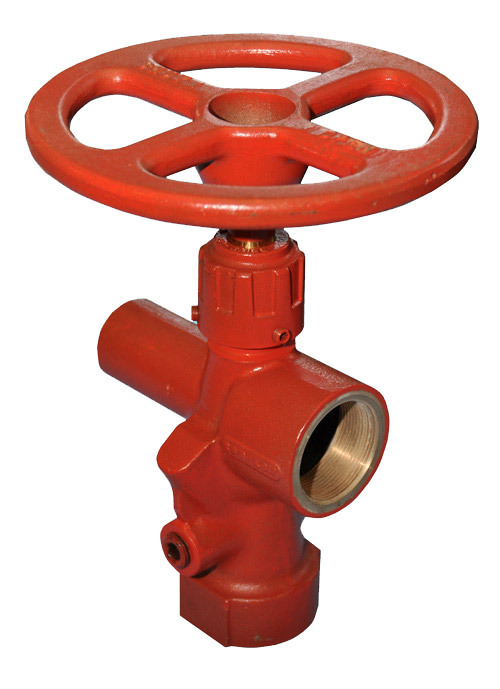 The Conflow Code 12 - Underground Fire Hydrant is a control valve used to reduce underground mains water pressure and flow to ensure the protection of the fire hose. The desired outlet pressure for any available inlet pressure is pre-set by bringing a locking dome into contact with a stop collar on the spindle. The Conflow Code 14PS pre-setting bend is used to pre-set and test the hydrant to ensure a safe and constantly available supply of fire fighting water. A safety relief valve is built into the unit to ensure there is no pressure build up if the outlet hose is blocked.